Seven groups have filed amicus briefs in support of a petition for certiorari to the Supreme Court in United States v. Texas, requesting that the Court overturn the Fifth Circuit Court of Appeals decision to enjoin, or halt, the President’s 2014 deferred action initiatives. The briefs were filed on behalf of a diverse range of interested parties, including states, cities, civil and labor rights organizations, former and current elected representatives, as well as former federal immigration officials. Together, the briefs explain the importance of the enjoined programs – Deferred Action for Parents of Americans and Lawful Permanent Residents (DAPA) and an expansion of Deferred Action for Childhood Arrivals (DACA) – which could provide as many as 5 million immigrants with temporary relief from deportation. A summary of the briefs follows. Immigrants’ Rights, Civil Rights, and Labor Organizations – Filed on behalf of 224 immigration, civil rights, labor, and social service groups, including the American Immigration Council, the brief provides personal stories and testimonials about potential beneficiaries of the deferred action initiatives, illustrating how the programs would allow many deserving individuals to have access to better jobs and the ability to improve their lives, the lives of their families, and their communities. Mayors, Cities and Local Governments – The mayors of New York, Los Angeles, Atlanta, and 81 additional mayors, county executives, and localities, the United States Conference of Majors, and the National League of Cities submitted a brief explaining the severe economic cost of the nationwide injunction to local governments. 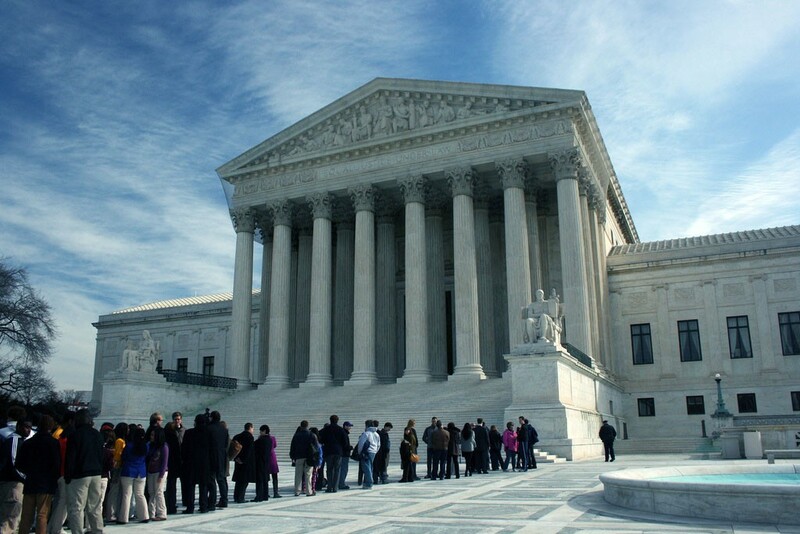 In addition, they request clarification from the Court regarding when plaintiffs may have standing to obtain nationwide injunctions that harm residents in other jurisdictions where, as here, the court did not consider evidence from jurisdictions that support the deferred action initiatives. Former Chiefs of Police and Sheriffs – Associations of local law enforcement officials and individual current law enforcement officials submitted a brief to inform the court of the important benefits of the deferred action initiatives to local law enforcement entities. The brief explains that one of the benefits of the initiatives is improving public safety by encouraging community cooperation with police. With an injunction in place, law enforcement is prevented from effectively protecting the public at large in communities across the nation. Current Members of Congress – 184 Members of the U.S. House of Representatives and 34 Members of the U.S. Senate submitted a brief explaining how the Fifth Circuit’s legal analysis is fundamentally flawed and outlining how the deferred action initiatives are a permissible exercise of congressionally granted discretion to establish and implement immigration policies and priorities. Former Members of Congress – A bipartisan group of former members of Congress submitted a brief explaining in detail how the Fifth Circuit decision misunderstands the laws at issue in the case. Because amici served in Congress when it enacted major components of the immigration laws, they know that the directives at issue in the litigation were consistently endorsed by Congresses on a bipartisan basis. The brief explains that deferred action has been consistently employed by Administrations of both parties and repeatedly endorsed by Congress. The lives of millions of potentially eligible immigrants are at stake and those who filed these briefs are trying to make very clear the importance, legality, and necessity of the deferred action initiatives. In the coming months, the Supreme Court will announce whether or not they will take up this case.